Peter Bryer: Mobile Foresight: More Minolta Moments. Which handset vendor will leave the hardware business next? Here I venture to guess. More Minolta Moments. Which handset vendor will leave the hardware business next? Here I venture to guess. Minolta Moments. Perhaps no industry has more of them than the handset biz. 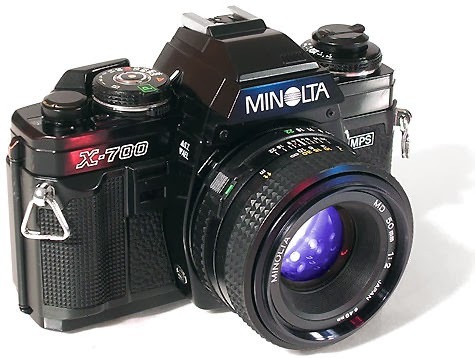 What's a Minolta Moment? Well, ask most people these days what Minolta makes and they'll tell you "cameras." Good, Japanese-quality cameras. But they don't. Minolta hasn't made cameras in almost 10 years. Back in 2006 Konica Minolta announced that their market share was too slim, as were the profit margins in the camera biz, to stay in the market. They packed up and left. Konica Minolta doesn't make cameras any longer. They make copy machines and other office equipment. They are an enterprise company. The handset business has been full of Minolta Moments during the past two decades. For fun, let's look twenty years back at the world's top-ten handset vendors of 1994 and see which are still making phones. (When a mother company sells off the brand, that means they got out of the business in my opinion.) In 1994, Motorola was the dominant global player. But Motorola's mother ship got out of the business. (As did Google.) Nokia doesn't make handsets any longer. Ericsson doesn't. NEC really doesn't. Panasonic barely does. Siemens got out. Philips did. Oki. Toshiba. Mitsubishi. So, these handset vendors in 1994 had a combined global market share of around 90%. And today? To be honest, I'm not quite sure. The number is so small, it's difficult to figure out. The combined share is likely less than 1% now that Nokia phones are Microsoft phones, and Motorola phones are Google phones soon to be Lenovo phones, just as Alcatel phones have nothing to do with Alcatel. To put this in perspective, imagine for a second the combined automotive market shares of GM, Ford, Toyota, VW, Nissan, Renault, Honda, Fiat, Mazda, and Hyundai dropped to 1% over a period of a decade or two. That's how much the handset market has changed. The semi-surprise will be when Microsoft announces their handset Minolta Moment. Perhaps such a second-hand Minolta Moment can be called a "Google Shift:" At some point in time, Microsoft will sell off the Nokia brand they have access to, likely to an Asian vendor. (Nokia is still a great brand name in many Asian countries.) They'll sell off the factories they bought. Some of the patents they have access to. Offices and chairs and pencils and market channels. Microsoft press releases will call it a strategic move allowing Microsoft to concentrate on creating amazing mobile software while working with a fantastic hardware partner. Or something like that. Yep, the platitudes will pour out, bloggers will have a field day, Microsoft's stock will shoot up 3% seconds after the announcement as they also announce plans to close their sad-looking, empty retail stores. I have to say, for the handset business, it's been a rather ugly picture for legacy vendors. Strange. Minolta doesn't make cameras. And Nokia doesn't make phones.